MANTECA CORPORAL DE ARGAN Y PAPAYA. EXQUISITA MANTECA CORPORAL. 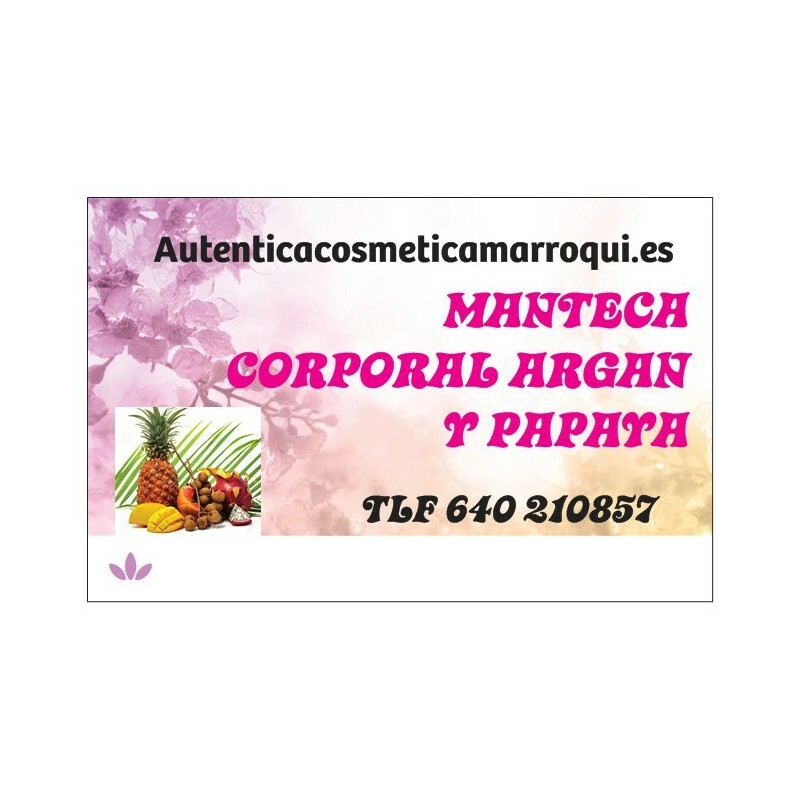 ELABORACION ARTESANAL DE COSMETICA MARROQUI A BASE DE ARGAN ,Y TODOS LOS ACEITES DE COSMETICA MARROQUI “COCO,ARGAN,BABA DE CARACOL,ALOE VERA, CHUMBERA.,KARITE….”....LA CONVIETE EN UNA MANTECA CORPORAL EXQUISITA,QUE NUTRE,HIDRATA Y REAFIRMA LA PIEL DE SU CUERPO DEJANDOLA SUAVE , SATINADA Y TOTALMENTE NUTRIDA”. TRATAMIENTO PIELES MUY SECAS, SENSIBLES , INCLUSO PIELES ATOPICAS.